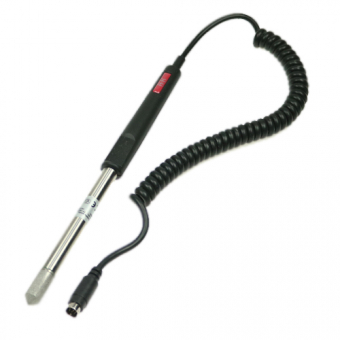 This precise handheld humidity and temperature probe with robust stainless steel Sensor tube can be easily connected to the HM309 evaluation unit through its Mini DIN 8 Pin connector. Plug and play - for quick determination of temperature and humidity! High quality, good value for money probes are always required for various industrial and building automation applications. They have to be suitable for continuous use and protected against transient overvoltages. Further advanteges are the long term stability and the high accuracy of the measurements. B+B temperature and humidity probes have been developed to be technically up to date relative to sensor and electronic technology. They fulfill thus the requirements of a wide range of applications.